Give me a break! Does anyone know of anyone who had these hearing glasses? What happen to this unique invention anyway? Oh yeah.....this must have been a hot item in it's day. I have a feeling this was the flagship item that launched the whole concept of recycling. No, no, never. Who spends that much time on the thrown anyways? Come to think of it, my father used to. But I think he locked himself in there to get some piece and quite. Hummmm, the reusable caskets! That is an idea this administration might take to heart! 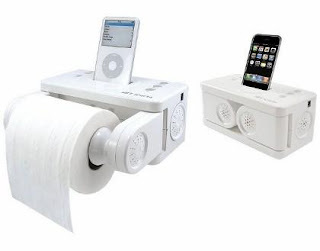 I am liking that ipod tp roller! I dont hang out in the bathroom long for that ipod tp roller but it's an idea for Little T's birthday! 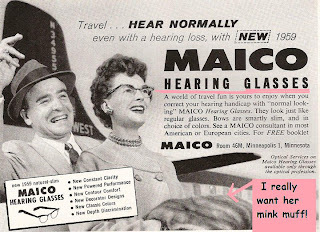 I need a pair of those hearing glasses ASAP. I think I heard Grandma J. write something about a mink muff, and it made me laugh out loud. Mink muff. It almost sounds like the name of a bad movie, but perhaps I'm just tired and need to relax to some music sitting on the pot. You have a great site here. I have a travel blog myself which I hope to be a top resource for information on vacation destinations. I'd like to exchange links with you. Please let me know if this is possible. Please don't bring me any of these things next year. I pod in the toilet room? Nasty. 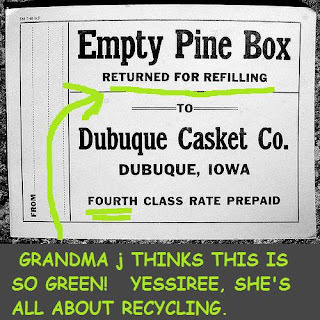 You know I love the recycling bit! I hear you can get hem-roids from settin' on the throne too long .. but how long IS too long? A song? An album? My dad was a single dad with three daughters. He spent a lot of time on the throne. Can't say that I blame him...;) TMI? 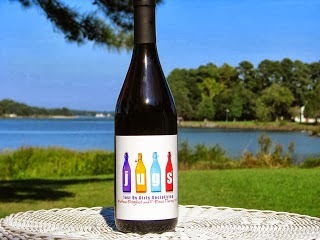 A little bit of sustainable living or not living as the case may be. I know a few guys that would love the ipod tp holder!